When Andy Butler—essentially the locus around which the sprawling Hercules and Love Affair collective of collaborators and artistic associates cluster—spoke to EB last month, he talked of the paralysis of choice surrounding how to approach his DJ Kicks compilation. He felt the need, the brand spokesperson’s impulse, to sell every facet his product: gay, obscure, intelligent, fun—to chisel the band down into its component influences, and these influences into records that could fit together in a kind of 90-minute capsule manifesto. This deconstructionist approach is one that works particularly well for a commercial mix album, providing context, footnotes and further reading where mixes available online, often club sets or otherwise dashed off as an appeal for coverage and content, deal in the here and now, released amidst the feverish white noise of “TRACK ID?!!?!? !” But really, when you’ve got one eye on the DJ box and one eye on the box to tick, you have to wonder: how fun can DJing by Post-It note ever really be? Thankfully, Andy Butler’s stab at a DJ Kicks feels more akin to a psychic topography, on which Butler plots his own dance epiphanies. With an inherent love for these records, which of course is traceable in his bands own stringent purism, the mix feels buoyant, graceful, reverent. The set rarely wavers from the early 1990s sweet spot, with the earliest track Rhythm Mode :D’s “Can You Feel It (Reach the Top)”—from 1988—lending the mix a raw grain right from the beginning. While there are departures into 2012, including exclusive H&LA track “Release Me”—an warm, piano-laced track that possesses the kind of robustness that would have rendered it a Hacienda classic—they execution is so faithful to the period they’re emulating that the gulf between the periods is experienced with nary a kink. Of course, the retromanic nature of 2012’s house music obsession goes some way to making this set feel strangely vital. There’s no doubt that Hercules and Love Affair’s yen for post disco revivalism is a comfortable fit in 2012. Indeed, this installment of DJ Kicks consistently feels like a sonic Cliff Notes for the errant VHS-saturated time-tourist or disillusioned bass producer; the moment the clipped undulations of Fax Yourself’s “Strut Your Techno Stuff” folding into the glassy synths of the dub version of Klubb Kidz “Don’t Want to Hurt You” feels so perversely 2012 that you feel a touch of ego death coming on. And while Butler excavates the glassy timbres and tunnelistic impulses of acid in the third act with Mark Imperial’s “The Acieed That Ate New York” it’s executed with measured poise that marks Butler out as someone who intuitively knows how dance history slots together. This is, of course, where Hercules and Love Affair differ from, say, anyone on 100% Silk or My Love Is Underground’s roster: they maintain a fidelity to the source material that borders on obsessive. This may appear unintriguing to the dilettante or experimentalist, but it makes for one sleek as hell mix. 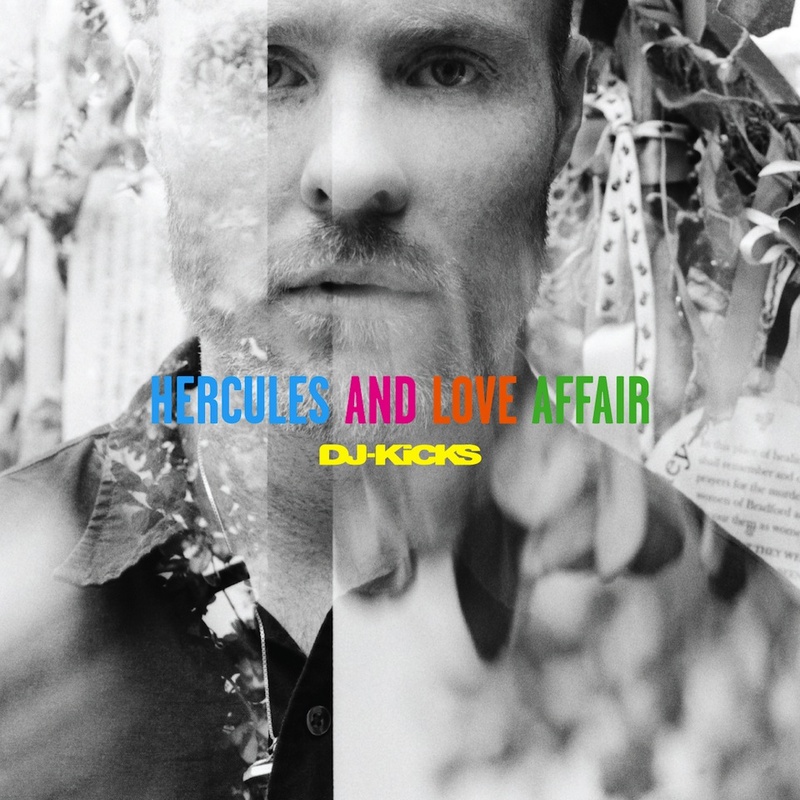 You can win two pairs of tickets to the forthcoming EB Presents Hercules and Love Affair Soundsystem in Zagreb and Warsaw by entering the form below. UPDATE, December 5th: Competition is closed, winners (Ana R., Michał G., Vedrana M., and Jelena M.) have been notified. Buy your tickets here.